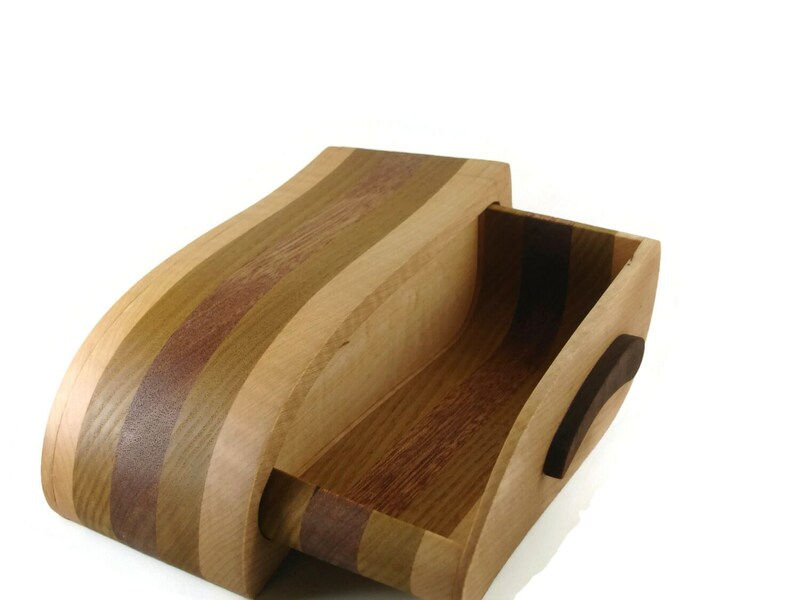 This bandsaw box is not only a work of art.. but also serves as a functional home decor piece to store your treasures. 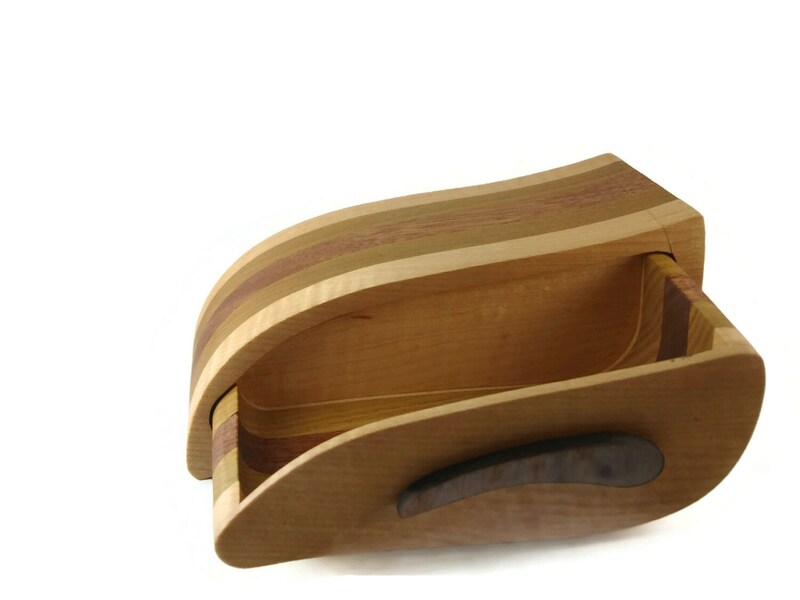 Whether you use it as a jewelry box or a trivet box this unique Wave style box will spark some interest and conversation from anyone that sees it.. 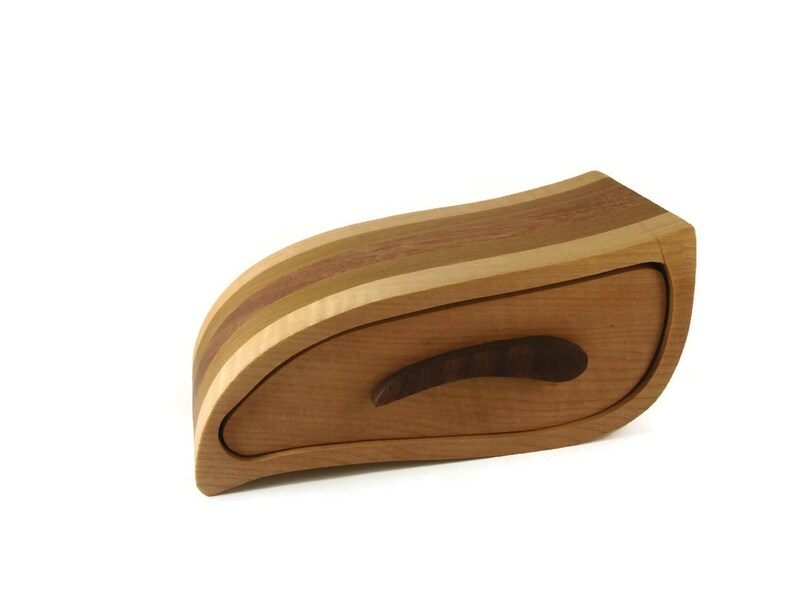 This wave jewelry / trinket box was cut out by hand from Maple Sassafras, and Walnut wood by hand using a bandsaw. 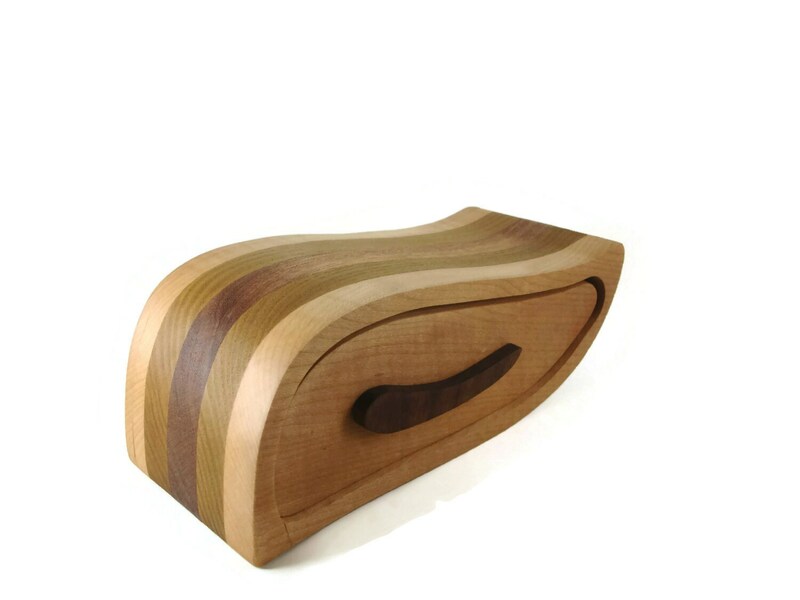 Cut to the shape of a wave that stands approximately 3 inches tall and 8 inch wide with a 6W X 1.75H x 2.75D inch box drawer. ***DAMAGED*** Please notice the photos.. There is a very small nick in the front inside portion of the drawer.. near the right hand side near the top of the drawer.. Price is reduced do to the damaged area.. 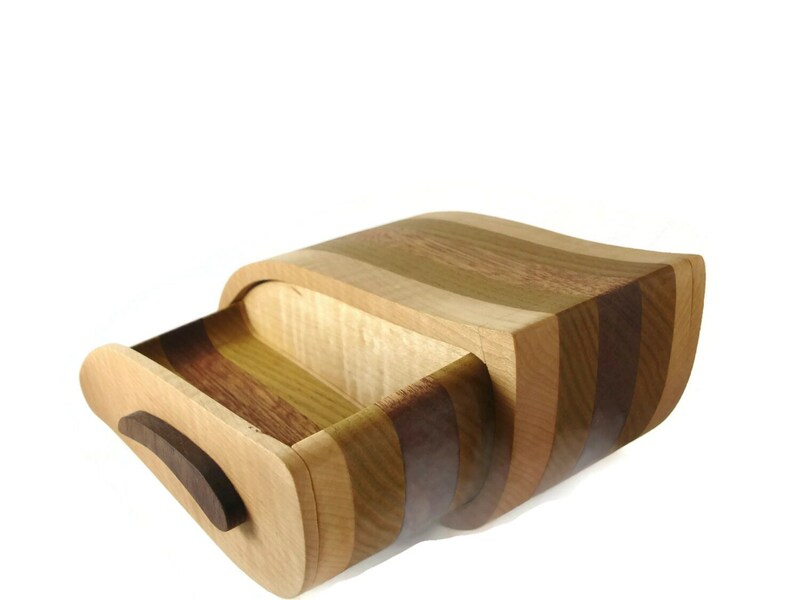 This is finished with my homemade mix of natural beeswax and mineral oil to bring out the natural beauty of the wood while giving it superior protection.